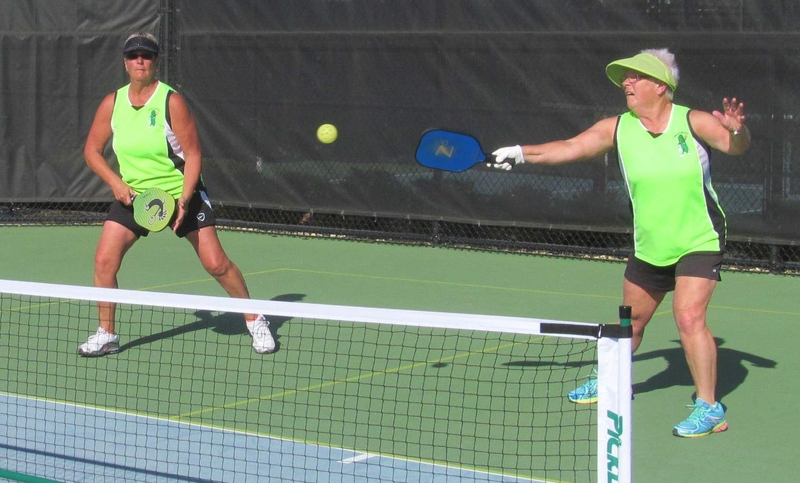 In South Central Florida Pickleball League action, Lake Ashton upset Highlands Ridge 46 – 21. The victory was made possible by Lake Ashton’s top team that went 4-0 for the day. They received strong support from their No. 2 and No. 3 that each went 3-1. Highlands Ridge, was playing without their No. 1 player, Gary Schinderle. The team of Mickey Dorman and Chris Donaughy had a 3-1 record but the other three teams for Highlands Ridge (Dave Majick and Dave Shaner; Doug Ebeling and Brian Gilles; and Bill Alexejun and Bob Cisler) could only pick up three wins throughout the day. Sun ‘n Lake drove south to LaBelle where they met Riverbend and tasted their first victory, coming out on top 43 to 24 by winning 10 of 16 matches.